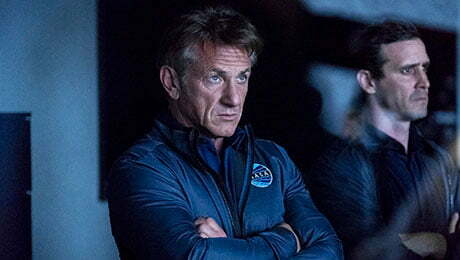 US-based streamer Hulu has cancelled its Sean Penn-starring drama The First after just one season. The series was from Westward Productions, whose co-founder Beau Willimon wrote and was attached as exec producer alongside fellow co-founder Jordan Tappis. The plot followed the first human mission to Mars and explored the lives of the people on the ship and those left on Earth. Hulu ordered the show straight to series in 2017 but has decided not to go ahead with a second run. The series, which is owned by Westward Productions, was co-financed by Channel 4 in the UK, which debuted it late last year, and IMG, which was merged with agency WME in 2017 to form Endeavor Content. Hulu has enjoyed a stellar run over the past 12 months, recently revealing rapid growth that has seen its subscriber count rise to more than 25 million following the success of shows such as The Handmaid’s Tale. Its forthcoming slate also includes Four Weddings & a Funeral and Catch-22, although talkshow Love You, America has been axed.